Here are some principles and examples of how very different species need each other to stay alive. Paradoxically, using less water can actually increase total water use. Wait. What? That’s backwards. It doesn’t make sense. How could this be possible? If you use less water, how can it increase water use ? Well, its not a pretty picture, but if you have your seat belt fastened – here’s what actually happens when you honestly try to reduce your water use. 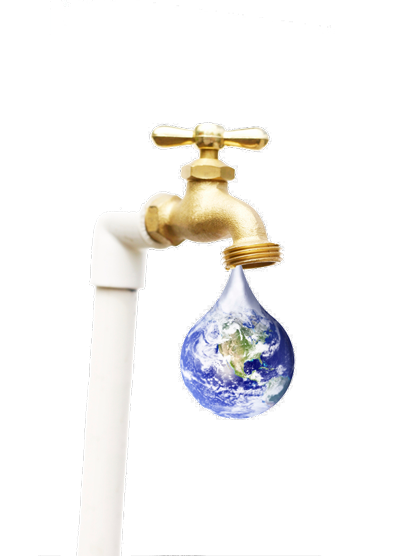 1) Developers demand, and are given, all the water you saved – and then some. Ever try breathing air from another planet? Or eating vegetables grown in another solar system ? Of course not. We all breathe air from the same atmosphere and eat food grown from the same rain. It may take quite a while for them to get distributed around our entire planet, but eventually it all gets mixed together. Posted in Book Review, Success	| Tagged Strongly Recommended	| Enter your password to view comments. Passenger Pigeon: From World’s most abundant bird to extinct in less than 100 years. Some claim that toxic pollution or burning fossil fuels is the most devastating damage humans have done to our earth. Now of course, those are deadly serious problems, but are they the longest lasting harm ? While burning fossil fuels certainly causes major harms including creating the most deadly cancer causing compound (from diesel engines), after a few tens of thousands of years even the most potent parts of that pollution will have transformed into far less harmful chemicals. And if humans are still around they’ll likely use electric vehicles. The California Red-Legged Frog (“CRLF”) became Federally listed as a Threatened species on May 23, 1996 (61 Federal Register 25813). Monterey County is roughly in the middle of the range of this species. This native California frog is now gone from the Sierras, including Calaveras County, but it still hangs on in a very few places. One of those few places is at Rancho San Carlos in Carmel Valley. When these frogs were listed as an imperiled species, the federal experts made it clear that Rancho San Carlos is one of only three places left in the world where significant populations of Mark Twain’s frogs still live. “Risk Assessment” is Fraud. It is actually a highly disguised political choice to commit deadly harm. It actually answers the perverse question “How can I get away with all the environmental and human damage my project will cause?” – though it is never stated so clearly. Those wanting to do big projects that cause real harm have to disguise it because public opinion strongly opposes serious harms to people and our environment. A method that superficially appears scientifically credible is called “Risk Assessment.” This thousand word article will show you why Risk Assessment is rarely credible and what to insist upon instead. Imagine for a moment you are a developer, a resources extractor, a polluter or a government agency (DREG) that wants to do a project that causes a lot of harm to our environment or to people. The first thing you do is hire a Biostitute (an academic or professional committing fraud for money) to write a report for you with the secret contract requirement or understanding that the report says all your project’s risks are “acceptable.” Since you are paying them, Biostitutes would have to be pretty dumb to give you a report that admitted your project would cause serious harm. Who would ever hire them in the future ? So Biostitute’s report always defends and justifies environmentally harmful activities by overflowing with meaningless pseudo-scientific bureaucratic doublespeak and jargon ornamented with often irrelevant meaningless mathematics all wrapped up in a laundry list of logical fallacies. How Can I Find Genuine Pesticide-Free Food? Repeat after me — Pesticides are deadly poisons. They are explicitly intended, designed, manufactured, used and applied to kill. So What are Bacteria Anyway? I still remember my stunned delight upon learning from world renowned Forest Ecologist Arthur Partridge that every cubic inch of (healthy) forest soil harbors at least 1,000 different species of microbes. Here’s a stunning review article about bacteria and how they interact with our bodies. Mainstream news stories almost always confuse the very different terms Radiation (like x-rays) and Radioactive (physical materials; fallout), which are significantly distinct things. Radiation means visible light and all of its invisible cousins: electromagnetic waves including X-rays, gamma rays and radio waves. Radiation can also informally mean the physical things (Alpha and Beta particles and Neutrons) emitted from radioactive materials which are described next. Radio-active means those physical materials which emit particles that cause ionizing radiation, or they emit ionizing radiation itself. can spread through the air, rivers and oceans emitting ionizing radiation all the way around the world.